Are you interested in the “essential oils for good skin” topic? Are you overwhelmed and sometimes confused with a lot of info about different essential oils, vegetable oils, butter? Do you ask yourself “who is who in the zoo” in the world of oils? Do you want to get it simple and clear about this subject? Well, if your answer is YES, then I hope you will enjoy this text! So, take a seat and let’s start! When you hear “essential oils for good skin,” what is the first association, crossing your mind? When I was a little kid, I remembered my grandma, embrocating her body with mainly two types of essential oils: lavender oil and rose oil. I still remember the scent of something beautiful, pure and fresh. At that time I was not able to understand the benefits that essential oils had on our skin. I was curious to stare the little bottles full of magical and aromatic substances. When allowed, I was opening them, and I was putting a minimal drop on my skin. What a magic touch! Many years from then, I know why exactly the essential oils can make our skin feel and look good. I will also share with you what are the specifics of some real essential oils. This will help you to use them correctly in the different situations. Simply put, it is a very concentrated liquid, containing aroma elements. It is derived and extracted from plants. It is not mixing with water (as it is oil) and it has a vaporizing effect. Why essential? Namely, because you derive the extract, the essence of the plant. There is one more important component we will have to pay attention. The essential oils are not used in their original concentration, as they are powerful. Neither your nose nor your skin will stand this pure essence. That is why the oils are mixed, dissolved and designed to be in the right proportions for usage. that will help us understand them better and start “feeling” them as our friends and supporters. The essential oils possess chemical components, very important for our life. They influence our organism on many levels, as they have a wide range of impact. The different essential oils have different power. The stronger one essential oil is, the less quantity you should apply! When correctly used, they stimulate the natural strength of the body. Their components reach the blood and the cells, helping them react better. They are good for the heart and the nervous system, and can relax, stimulate, energize, remove the extreme reactions, normalize your sleep, increase your effectiveness! Oils have anti-oxidant components (the “good guys”), which fight with the harmful free radicals (the “bad guys” in our body). how to use and get more benefits from the essential oils. 5. You can use essential oils to increase the effect of the cream you have, to give the invigorating scent of your shampoo, to have your aromatic hands, while washed with homemade natural soap, to put some drops in the water while having a tub, to make your face mask more appealing, etc. You got the point! 8. Quality should prevail vs. quantity! Always look for high-quality oils instead of only cheap products with a dubious reputation. As usual, this will pay off in the future – potentially you will use it longer and with fewer health issues. 9. If you are pregnant or nursing at the moment, consult with your doctor first. Essential Oils For Good Skin? When you massage your body, the active substances of the oils get into your organism through your nose (the sense of smell) and the pores of your skin. They increase the oxygen and improve the physiological processes and the defense of the body against the harmful environment. When combined, the vegetable oils and the essential oils lead to moisturizing and feeding the skin, while having an antiseptic, antibacterial and anti-cellulite impact. So yes, the essential oils are good for the skin. Balancing of the physiological and emotional processes of the organism. One of the most popular ones, the lavender oil is very appropriate for all types of skin and for keeping it beautiful. It is a good fighter against the harmful free radicals and the ultraviolet sunlight. It also promotes the excellent sleep – new secret for fair skin. Massage your skin each morning and after getting a shower. Do it also in the evening before going to bed. Repeat on a daily basis for a long-term effect. You can mix it with olive oil, which is a perfect combination. This is one of my favorite oils! The original Bulgarian rose oil, which according to the top experts is the best in the world, makes me feel Divine! You should scent a Bulgarian rose, when the vast rose flower fields are ready to be picked, during the Springtime! The smell and the experience are amazing and spiritual! If you have dry skin, the rose oil is a great way to hydrate it. It is rich in anti-oxidants, which has an anti-aging effect. Rose oil is a good fighter against inflammatory processes. The Jojoba Oil is full of value for the skin vitamins and chemical elements. It is also very iodine rich and can contribute the body balance in that direction. The jojoba oil controls very well the level of getting the skin oily. It could help with some skin issues, like acne and eczema. Not to mention the great hydration features of this fantastic oil. Thus, it helps the dry skin and is a shield against the itchy, irritated and chapped skin. Read HERE how can jojoba oil help your skin! Read HERE how can jojoba oil help your hair growth! Carrot Seeds Oil is another skin anti-aging player from the “Champions League”! It is full of vitamin A, which is a proven winner on the battlefield against the free radicals. 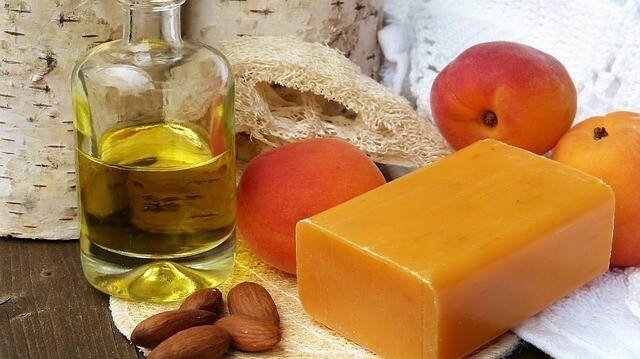 It is a rich carotene oil, which leads to very lovely consequences for our skin. It breaks the real lows and gets younger and less toxic, making it healthy and shiny. Hands down, I adore eating pomegranate! The fruit has only one disadvantage: it is very annoying to remove the seeds while eating it. But this defect turns into effect when we use the seeds to derive a pomegranate oil. It is a tremendous anti-cancer therapy instrument. It has powerful anti-oxidants, which successfully opposed to the free radicals. So the anti-aging and anti-wrinkle effect over your skin is nothing to wonder at here. The pomegranate seed oil increases the collagen production, which improves the skin elasticity. As a decent member of the anti-aging champions league, Rose-Hip oil possesses all the good features, mentioned for the other oils in this group. So you could proudly consider it a part of your personal “Essential Oils for Good Skin” Portfolio. I would like to stress that due to the high concentration of antimicrobial and anti-inflammatory components, rose-hip oil is a good solution for dermatitis and psoriasis, which are very unpleasant skin issues. A lot of info to digest and work? Myrrh oil: among all useful features it has for your skin, myrrh oil can help you protect from the harmful ultraviolet Sunlight. What are the general rules to work with essential oils? Which are among the best essential oils for good skin? What are the main advantages of each of these oils? If you have (or you are predisposed to) some skin issues, you have a twice stronger reason (if you haven’t done it yet) to include in your arsenal our essential oils friends! I hope now you are less confused on this topic than before reading the article. Or not?! A simple piece of advice I can share with you is just to start from somewhere. If you love the scent, it is a beautiful point to kick off. You have a list of amazing oils. Each of them has its specifics, but it is more the common between them than the one that separates them. All of them are excellent warriors in the field of keeping your skin as perfect, as possible. Use that natural treasure! Use more natural products that will help you live your life longer and with higher quality! I would love to hear from you! What do you think? Was this text helpful? Do you already use essential oils? Which ones? How do they impact your skin? © Valeria. All rights reserved.